The veterinary business isn’t always a walk in the park. You’re often working with emergencies and concerned clients, not to mention wearing many hats. It can feel like there’s a lot to do and not enough time to do it. You want to provide a high level of care, and your team members put their hearts and souls into their work, but you or your Practice Owner won’t see everyone’s contributions in order to recognize them. All this makes it hard for vet team members to feel valued and motivated, which can lead to frustration and burnout. According to research from the National Association of Veterinary Technicians in America (NAVTA), the veterinary industry has twice the rate of turnover as comparable industries. Fortunately, when vet clinics facilitate specific, timely, and frequent recognition, their teams are better equipped to build up their resilience reserves and cope with the challenges inherent to the veterinary industry. "Research clearly shows that veterinary teams with a high positivity ratio experience significantly lower employee turnover and substantially increased productivity," says Josh Vaisman, co-founder of Flourish Veterinary Consulting. Because regular recognition increases the volume of positive interactions between staff, encourages inclusion, and boosts employee engagement, it also increases client satisfaction, lowers turnover, and improves productivity. In short, a recognition-rich culture is good for your bottom-line. More than 50 vet clinics love Bonusly as a tool for creating a recognition-rich environment for their teams. 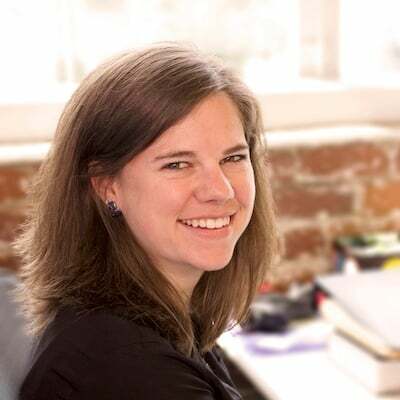 Bonusly makes it easy for everyone to recognize everyone else on the team. So instead of recognition only happening when the practice manager sees something commendable, team members can recognize peers who help them out, take one for the team, or go above and beyond for patients. Have some seemingly thankless tasks around your clinic? With Bonusly, you can easily thank and appreciate your teammates for helping out. Use Bonusly’s Awards feature to make clean up around the hospital more rewarding and highlight employees who are dedicated to making your practice safer and more inviting to clients. Vet team members rarely get a good view of everything going on across the clinic. Bonusly makes recognition visible so that everyone can see what their teammates have been doing and help celebrate the successes of the entire practice. Plus, Bonusly helps you communicate what’s important to your practice. 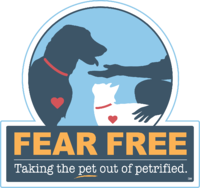 You can recognize and appreciate team members who use Fear Free practices and pursue continuing education. You can also incentivize programs like flea and tick medication sales in the warmer months and preventative care such as routine blood work. You can even include positive feedback from clients directly into Bonusly to help keep in mind that patient and client experience is what’s most important to your group at the end of the day. Most days, your team is probably rushing in and out of patient rooms and around the clinic. You might wonder, “When would they have time to sit down at a computer to give and see bonuses?” Bonusly’s mobile apps and simple interface make it easy for your team to give on-the-go recognition. Some companies even set up Bonusly kiosks where employees can log in to use Bonusly or dashboards in high-traffic areas like break rooms. Bonusly also makes recognition timely. Instead of waiting until a particular time of year to praise your team, as is the practice with quarterly or year-end bonuses, your team can recognize the small things that make your clinic great and show employees that their work is valued on a daily basis. Many vet clinics don’t have a recognition and rewards program in place because there isn’t anyone to manage it over time. Bonusly is easy to set up and practically runs itself, including automatic reward fulfillment, so you can focus on your patients and clients while Bonusly keeps recognition flowing. 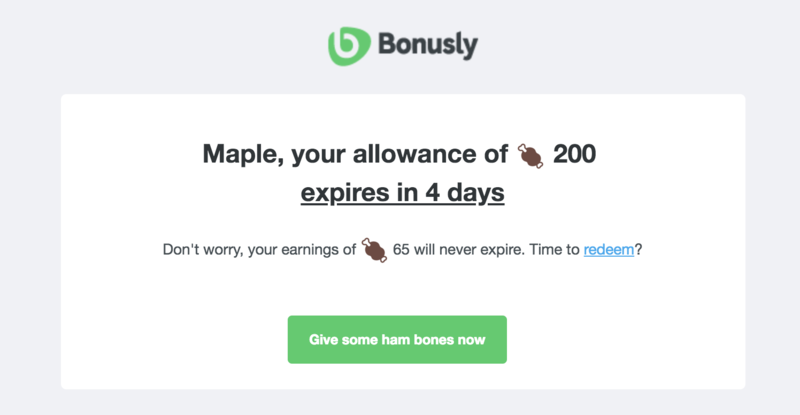 Bonusly also sends out thoughtful reminders to your employees to give recognition, so you’ll never have to worry about chasing anyone down for employee of the month nominations again. Speaking of rewards fulfillment, Bonusly has an extensive catalog of digital rewards with gift cards from the world's most popular brands, as well as cash and charity donation options that are instantly available as soon as employees redeem them. Forget trying to think of rewards that your team will like and ending up stuck with prizes that no one wants. Bonusly gives your employees options to choose from themselves! Many of our vet customers are big fans of our Starbucks and other coffee brand gift cards, Target and Petco gift cards, and Canine Companions for Independence donations. And don’t forget to treat yourself with restaurant gift cards for a nice dinner out or Spa Week gift cards to unwind with massages! You can also add in custom rewards that your employees might be interested in, such as a coveted parking spot, gift cards to local shops and charities, or additional time off. Ready to start building a recognition-rich culture? See how Bonusly can help your vet clinic.